BOSTON — Highlighting the importance of early work experience and its correlation to long-term career success, Gov. Charlie Baker today met with nearly 100 young people benefitting from the Commonwealth’s YouthWorks summer jobs program. Approximately 4,000 teenagers across the Commonwealth are participating in the YouthWorks program this summer, which provides summer jobs in the public, non-profit and private sectors to lower-income young people ages 14 to 21. 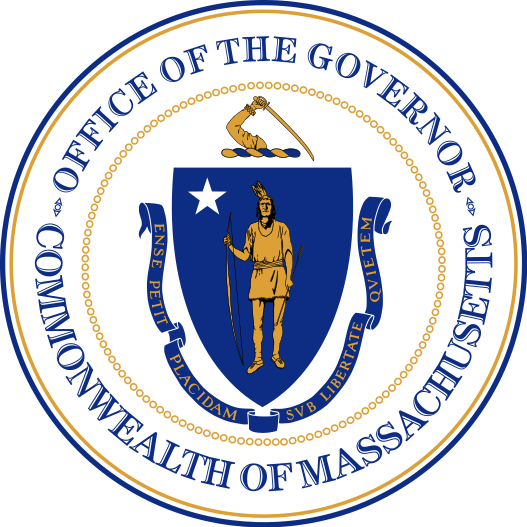 YouthWorks is a state-funded program administered by Commonwealth Corporation – a quasi-public state agency – on behalf of the Executive Office of Labor and Workforce Development. The Fiscal Year 2016 budget signed by Governor Baker earlier this month allocated $11.5 million to YouthWorks – the highest amount ever for the program – for next summer’s programming. Massachusetts is one of the only states in the nation to invest in state-funded early work experiences and work-readiness programs for low-income young people. Since 2007, more than 33,000 young people have been employed through YouthWorks. Gov. Baker on Thursday visited a neighborhood center in Mattapan operated by Action for Boston Community Development (ABCD) – one of the non-profit organizations that facilitates the YouthWorks jobs program. Governor Baker was joined by Labor and Workforce Development Secretary Ronald Walker, II, and Boston Red Sox’s Chief Operating Officer Sam Kennedy, along with Boston Police Superintendent William Gross. The Boston Police Department employs approximately 60 teenagers every summer. ABCD, through its SummerWorks program, partnered with 250 employers to provide 1,050 Boston teens jobs this summer. The young people are working in museums, health centers, and day camps, among other places. The Boston Police Department employs young people every year, offering teenagers mentorship and class discussions in order to strengthen relationships between inner-city teens and police. The rigors of the program were raised this year with new requirements aimed at ensuring teens leave with a plan to help them find their next job in the private sector. Young people who get jobs this summer must have a résumé, and a portfolio describing the skills they earned when they finish working. They must also participate in “Signal Success,” a new hands-on work readiness education program overseen by Commonwealth Corporation. Work experience is critically important for the long-term success of young people. Research shows teens who work have long-term gains in employment, future earnings, and educational outcomes. Students who work up to 20 hours per week during high school are more likely to earn a bachelor’s degree than students who do not work, research shows. Teens with early work experience also tend to attain work in higher-level occupations later in life, and tend to have jobs with pension plans and employer-provided health insurance.